My life is one half finished project – literally and figuratively. Every time I get ready to sew something I wonder why in the world I didn’t learn from my Mom when I was younger. Why didn’t I at LEAST take home ec? 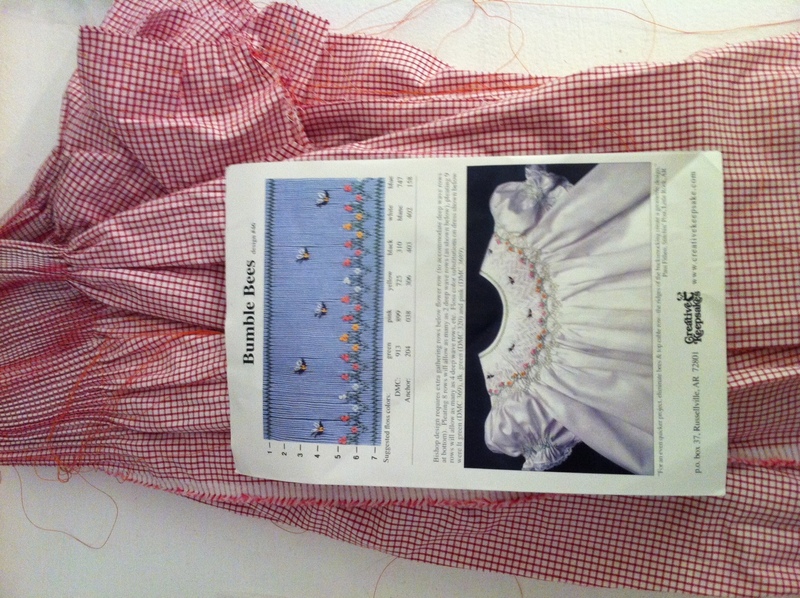 Why didn’t I learn a little bit about basic sewing before having kids? No motivation. I’ve been busy with other creative endeavors. This would have been a good skill to have before now. Toddler Apron Dress – had good intentions of this being Garner’s Easter Dress but it was more of a learning experience for me. Collars, sleeves, button holes. What was I thinking? Should have stuck to a bishop. Ha! 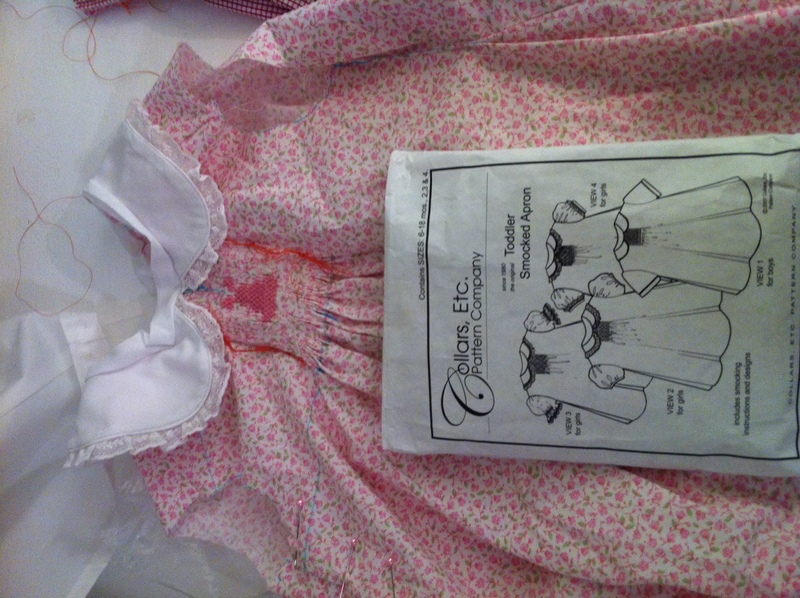 Toddler Apron Dress by Collars, Etc. Super cute and probably easy once I get one under my belt. This will be a View 4. I cut the piping for the sleeve too short and didn’t have enough and froze. If I’d known more I would have made it sleeveless. If I’d been more confident with sewing I’d have made new piping or used no piping on the sleeves. Can I just say that patterns aren’t the easiest thing to follow if you’re not an experiences sewer. Or is it seamstress? Bishop, pleated and ready to smock. Creative Keepsakes Bumble Bees plate. 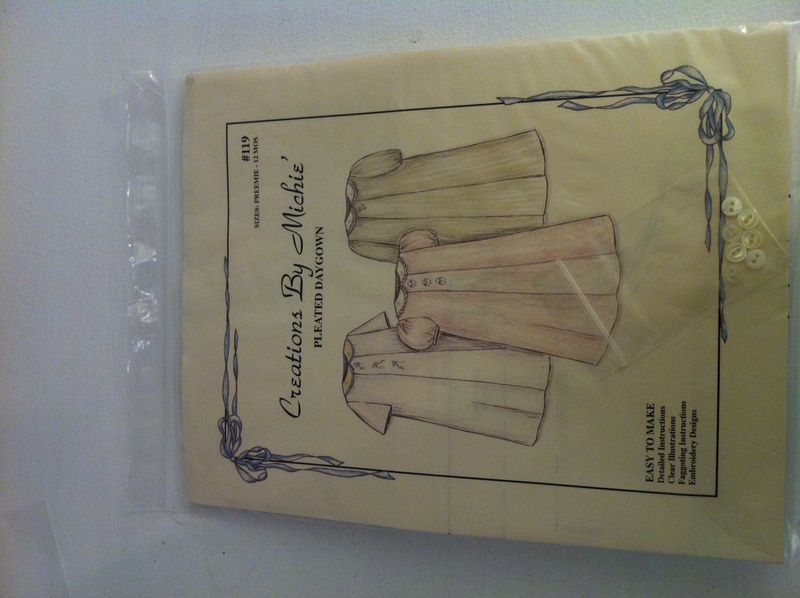 Pleated Daygown by Creations by Michié. I have a white cotton lawn for that one and those sweet little buttons. The plan is do do some shadow work of either kits, duckling, or some other baby thing. This is baby Graham and really should be easy! It’s a daygown! I need some time…and some energy…and some lessons! « Mark another one off.